It’s tempting to deal with the threat of a hacker stealing your digital data by simply hoping, or assuming, it will never happen to you. 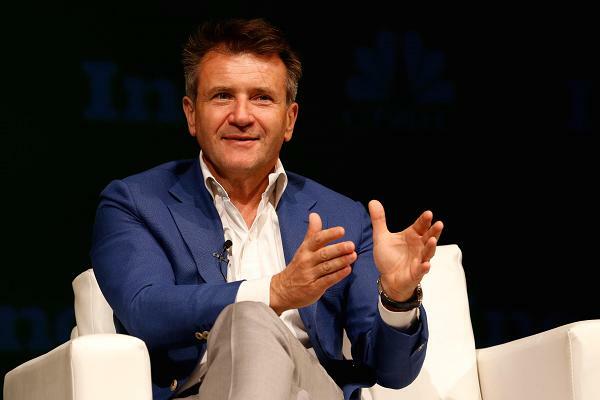 “People assume that they’re exempt from the risks of cybersecurity,” Robert Herjavec, founder and CEO of cybersecurity firm Herjavec Group, and a star of ABC’s “Shark Tank,” tells CNBC. Malicious or “black hat” hackers steal and then sell information. By 2021, the cost of online crime will be $6 trillion annually, up from $3 trillion in 2015, according to a report from Cybersecurity Ventures, a leading market research firm. The rise of digital currencies like Bitcoin have made it easier for black-hat hackers to demand payment anonymously. That has only made it more possible for them to do harm. “There is no effective law enforcement for financial cybercrime today,” says Herjavec. “Organizations need to increase their defenses and become more resilient because there is no end state in sight for this growing cybercrime epidemic. Unfortunately, the only way to be safe from cyber crime is to live completely offline. “There is no such thing as perfect security,” says Herjavec. That said, there are steps you can take to decrease your likelihood of being attacked, the first of which is understanding that you are vulnerable. Here are the best ways for consumers to minimize that vulnerability, according to Herjavec. “Public wi-fi is exactly that: Public. Don’t do your personal banking or private stuff in a public place,” says Herjavec. In particular, do not complete financial transactions on public wi-fi. If a url begins with “https://” rather than “http://,” then that connection meets the basic “SSL certification” level of encrypted security. And even if you recognize the sender, if you think an attachment is suspicious, don’t open it before double-checking with the person the email is supposedly from. Here are best ways for small business owners to minimize their vulnerability. Particularly if your business requires employees to work on their own technology, training employees is critical, says Herjavec. Entrepreneurs “should also put in place proper cyber etiquette from the very beginning so that as the business grows, their cybersecurity program can continue to scale,” says Herjavec.